Dani Marie of THE HANDMADE SELLER MAGAZINE has put together quite a lovely video on the Etsy algorithm. 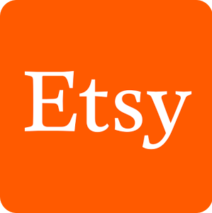 In this fifteen minute tutorial she goes over some of the more common myths that persist about Etsy and how to effectively work around any major obstacles the website presents. This is not a get rich quick video and at the end of the day, you are still responsible for putting in a lot of time, dedication, and hard work, but it does offer some clarity into what is often considered a muddy puddle.